In the interest of safety and concern for all, Jackson State University will close on Friday, Aug. 31, and resume all operations after the Labor Day holiday on Tuesday, Sept. 4. Faculty and staff are encouraged to work from home. Residential students are encouraged to go home if possible. Temporary housing is being provided for those who cannot go home, as the power outage has affected all residence halls except one. Students remaining on campus should see their community director for transfer to the temporary housing facility on campus. Meals will be provided at the JSU Student Center. 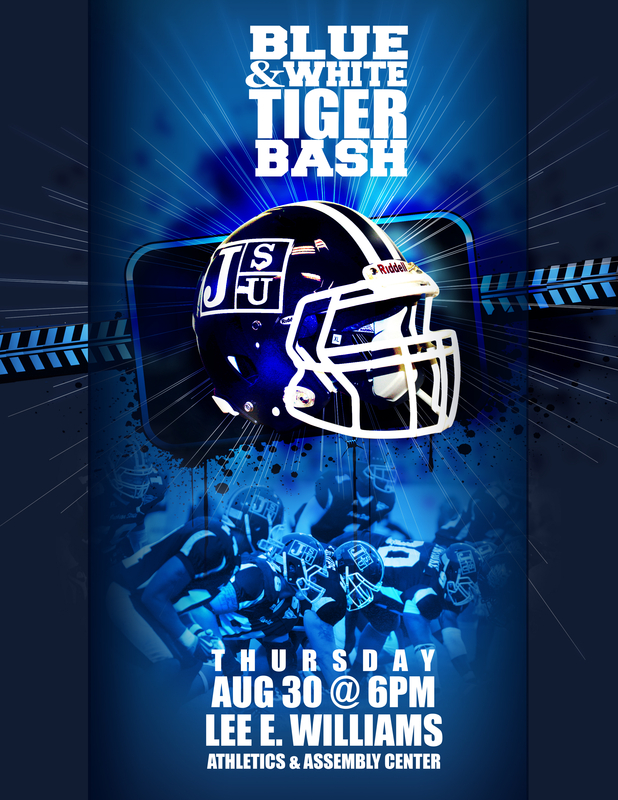 Due to Hurricane Isaac, Jackson State University’s 15th annual Blue and White Tiger Bash scheduled for 6-9 p.m., Thursday, Aug. 30, in the Lee E. Williams Athletics and Assembly Center, has been canceled. Check http://www.jsums.edu for updates about possible rescheduling. The Blue and White Tiger Bash provides the momentum for the kickoff of JSU’s football season by igniting school unity and pride within the JSU community. The JSU Tigers will play their first game at 6 p.m. Saturday, Sept. 1, at Mississippi State University in Starkville. For more information, call Lori Jackson-Stewart in the Division of Student Life at 601-979-4224, or Wesley Peterson in Athletic Media Relations at 601-979-5899. (JACKSON, Miss.) 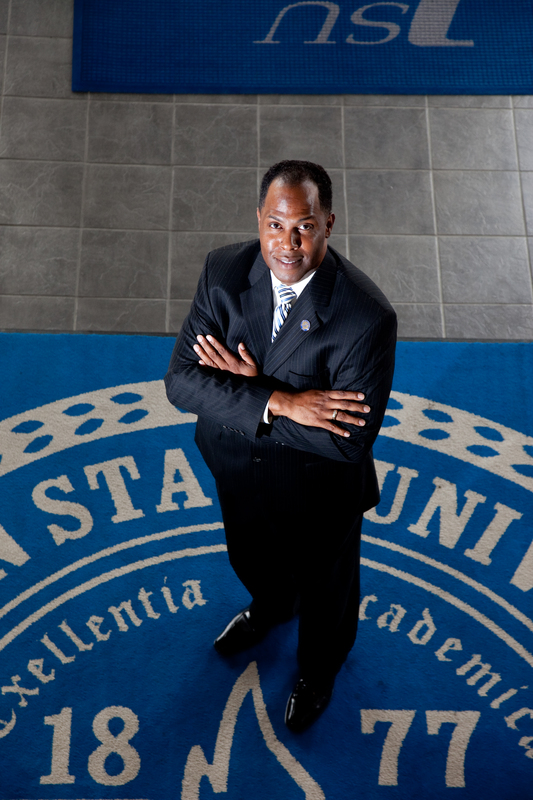 – Terry L. Woodard, Jackson State University National Alumni Association president, has been chosen to receive the inaugural Legacy of Leaders National Alumni President of the Year Award from the National Black College Alumni Hall of Fame Foundation, Inc.
Woodard is a 1988 graduate of Jackson State. He will receive the national honor at the organization’s annual Hall of Famers Awards Luncheon on Sept. 28 at the Atlanta Hyatt Regency. “I am extremely honored and humbled to be chosen for the Legacy of Leaders Awards as I continue to strive to carry on Jackson State’s legacy of changing lives through teaching, research and service,” Woodard said. The Hall of Fame induction ceremony honors HBCU graduates for their distinguished service to their country, their alma mater and for excelling in their field of endeavor. A native of Gloster, Miss., Woodard holds a bachelor’s degree in business administration from Jackson State with a concentration in business management. He holds certification in Leadership from the Mississippi Institute for Management and Executive Development and Cornell University. 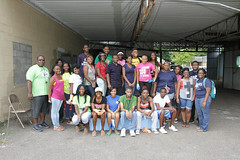 While a student at Jackson State, Woodard was active in numerous campus clubs and organizations. Upon graduation, he was employed for two years as business manager of the JSU Universities Center before joining the Kroger Co. in Houston, Texas. He currently works as a district manager for Sodexo, Inc., where he is responsible for 10 accounts in Mississippi and Arkansas. In 1994, Woodard joined Clark Atlanta University where he was active in numerous campus and national professional organizations. Under his leadership, the Metro Atlanta Alumni Chapter of JSU was deemed the premier chapter of all JSU Alumni Association chapters. 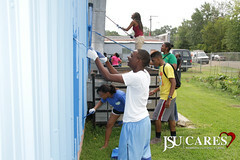 Increasing membership and financial support to the Alumni Association to benefit JSU. Woodard has personally donated thousands of dollars to Jackson State to assist with scholarships, student activities and athletics, and is a member of JSU’s Diamond Level Club and the Clay-Lackey Society. 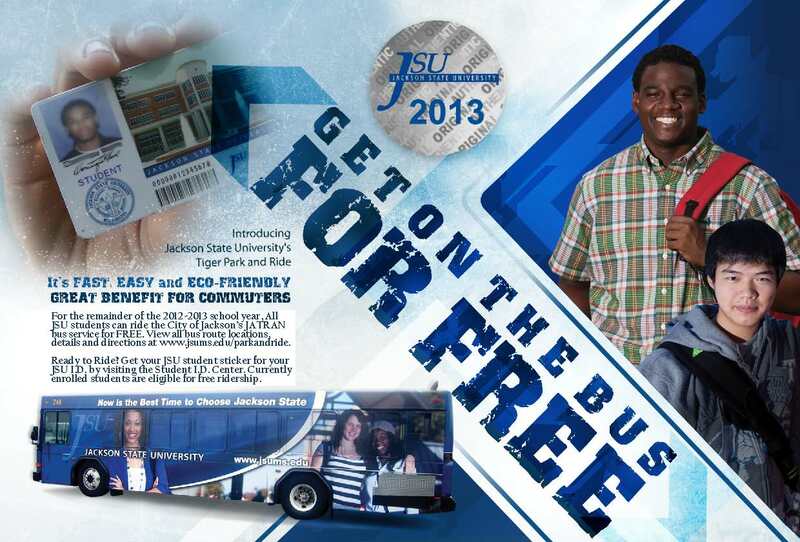 For the remainder of the 2012-2013 school year, All JSU students can ride the City of Jackson’s JATRAN bus service for FREE. View all bus route locations, details and directions at http://www.jsums.edu/parkandride. Ready to Ride? Get your JSU student sticker for your JSU I.D. by visiting the Student I.D. Center. Currently enrolled students are eligible for free ridership. The College of Education and Human Development launched the first online degree program at Jackson State University in 2009 as a collaborative with Education Online Services Corporation. 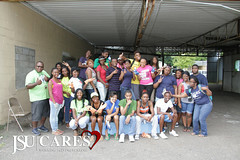 Since that time the program has seen tremendous growth, having now reached an enrollment of 300 students. The bachelors of science degree in Childcare and Family Education prepares students for careers in early childhood education and allows students to matriculate without having to commute to campus. Through the collective of Jackson State University and Education Online Services Corporation, plans are now underway to launch the Masters of Arts in Teaching (Elementary and Secondary) Alternate Route Programs starting Fall, October 2012. For additional information on any of these programs, please contact Dr, Rodney Washington at 601-979-2341. (JACKSON, Miss.) – Jackson State University political science professor Dr. D’Andra Orey has been appointed to serve on the Committee on the Status of Blacks in the Profession for the American Political Science Association for the 2012-2014 term and the Committee on the Status of African Americans in the South for the Southern Political Science Association. Orey’s research is in the area of race and politics, focusing heavily on racial attitudes and legislative behavior. Prior to joining the JSU faculty, he taught at the University of Mississippi and the University of Nebraska, Lincoln. In 2011, Orey was recognized by JSU President Carolyn W. Meyers as Jackson State University’s Teacher of the Year. 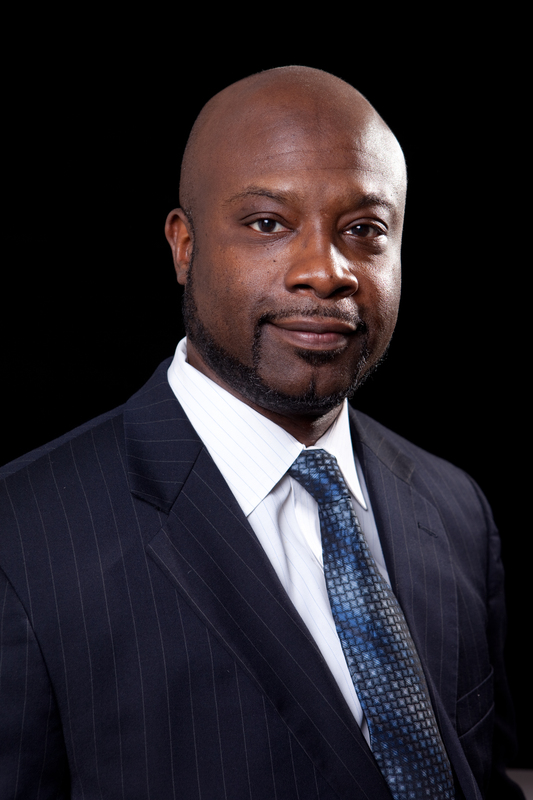 He also is the recipient of the 2011 Jewel Limar Prestage Mentorship Award and the 2008 Julia Cooper Teaching Award, both presented by the National Conference of Black Political Scientists.